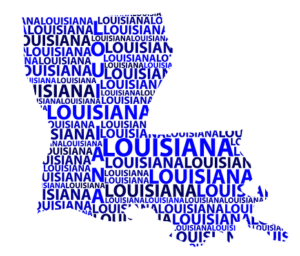 Louisiana offers five schools with master's in communication programs statewide. Students have the option to focus their studies in many different specialty areas of communication, including public relations, journalism and mass communication, healthcare, organizational communication and many others. Following graduation, students will be well prepared to build their careers in one of the state's top industries, such as healthcare, agriculture, energy and tourism, or in a top communications firm in the metropolitan centers of New Orleans and Baton Rouge. Grambling State University offers a Master of Arts in Mass Communication program on its campus in Grambling. What to Know: The Master of Arts in Mass Communication program is a 36-credit hour program that aims to prepare students for communication careers in corporate, non-profit and educational work environments. What Does It Cost? : Graduate level tuition and fees for the 2018-2019 academic year are $3,687 per semester for Louisiana residents and $8,199 per semester for non-residents. Anything Else? : The application deadline for admission to the fall semester is June 1. Louisiana State University in Baton Rouge offers a Master of Arts in Mass Communications degree as an on-campus program. What to Know: The Master of Arts in Mass Communication program offers students the choice between two tracks based on their individual goals - scholarly or professional - as well as the opportunity to concentrate their studies in journalism, strategic communication (public relations and advertising) and political communication. What Does It Cost? : The estimated yearly cost for graduate students at the Louisiana State University was $11,953 for the 2017-2018 academic year for Louisiana residents, and $28,868 for non-residents based on a course load of 9-credit hours per semester. Anything Else? : Applications are reviewed year-round for a fall or spring program start. For fall, applications are considered between January and July and between July and November for spring. Southeastern Louisiana University offers a Master's in Organizational Communication degree onsite at their campus in Hammond. What to Know: The Master's in Organizational Communication program is a 36-credit hour, non-thesis program that allows students to choose from the following concentrations: Journalism, Public Relations, Health Communication, Sociology or General Communication. What Does It Cost? : Graduate level tuition and fees for the 2018-2019 academic year are $4,558 per semester for Louisiana residents based on a 9-credit hour course load and $10,797 per semester for non-residents. Anything Else? : The early application deadline for the spring semester is December 1, with a final deadline of December 15. The early application deadline for the fall semester is July 15 and the final deadline is August 1. The University of Louisiana at Lafayette offers a Master of Science in Communication program in a traditional on-campus format. What to Know: The Master of Science in Communication program allows students to choose from five different areas of study: Advertising, International Communication, Interpersonal and Organizational Communication, Mass Communication and Public Relations. The program culminates in either a thesis or professional project. What Does It Cost? : Graduate level tuition and fees for the fall 2018 semester are $4,898 for Louisiana residents based on a 9-credit hour course load and $11,762 for non-residents. Anything Else? : Applications are reviewed on a rolling basis, and students are accepted for both the fall and spring semesters. The University of Louisiana at Monroe offers a Master of Arts in Communication degree in both on-campus and fully online formats. What to Know: The Master of Arts in Communication program is a 30-credit hour program that culminates in either a thesis or a final project. What Does It Cost? : Graduate level tuition and fees for the fall 2018 semester are $4,528 for Louisiana residents based on a 9-credit hour course load and $10,578 for non-residents. Anything Else? : Applications for the Master of Arts in Communication program are reviewed on a rolling basis. The University of Louisiana at Monroe also offers their Master of Arts in Communication program as an online program. Learn more about the University of Louisiana at Monroe's online program option here.